Acting in their local communities, Presbyterians across Canada are helping create peaceful, hopeful and sustainable futures for our sisters and brothers across the globe. Upholding God’s promise of abundant life for all creation, the Mission and Theological Society of Knox College donated $768 of the school’s annual offering to PWS&D projects. 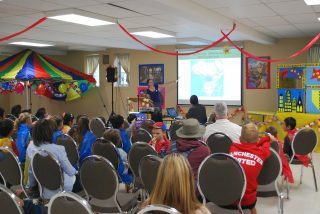 A presentation on famine in South Sudan during Vacation Bible School. It’s fitting that the theme for Vacation Bible School at St. Andrew’s Presbyterian Church in Markham, Ont. last summer was “Hero Central.” After raising $797 for famine relief in South Sudan for their Mighty Ministry Project, the compassionate children are truly superheroes! Their efforts are helping deliver life-saving food and nutrition support for families enduring displacement. The Canadian Foodgrains Bank growing project in Woodstock, Ont. hosted its annual Pig Roast and Bean Supper at Knox Presbyterian Church in September. A delicious meal of pulled pork brought 275 people together and raised $3,000 for the Foodgrains Bank—a coalition of church-based agencies, including PWS&D, working together to end hunger. 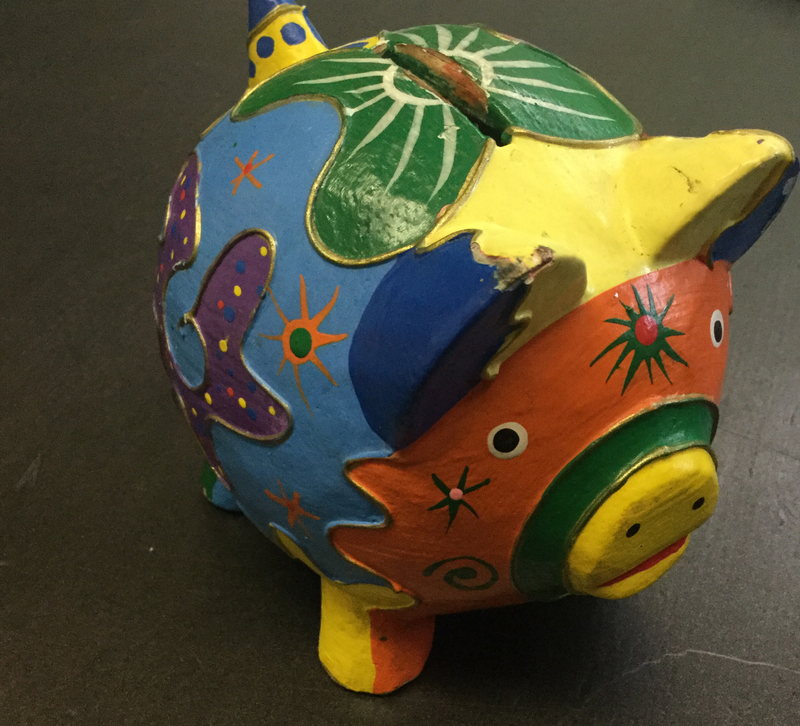 Youth at Briarwood Presbyterian Church filled a piggy bank with $144 for PWS&D. Youth at Briarwood Presbyterian Church in Beaconsfield, Que. took on the Sunday School Challenge and filled a piggy bank with $144 to help families in Guatemala farm for the future. “It’s opened up a lot of doors for conversation about how God works in our hearts to create positive change in the world,” says Stevie Pemberton-Thriepland, director of youth ministry at Briarwood. Thomas Hillier from St. Andrew’s Presbyterian Church in Markham, Ont. cycling 25 km in the Ride for Refuge in Toronto. 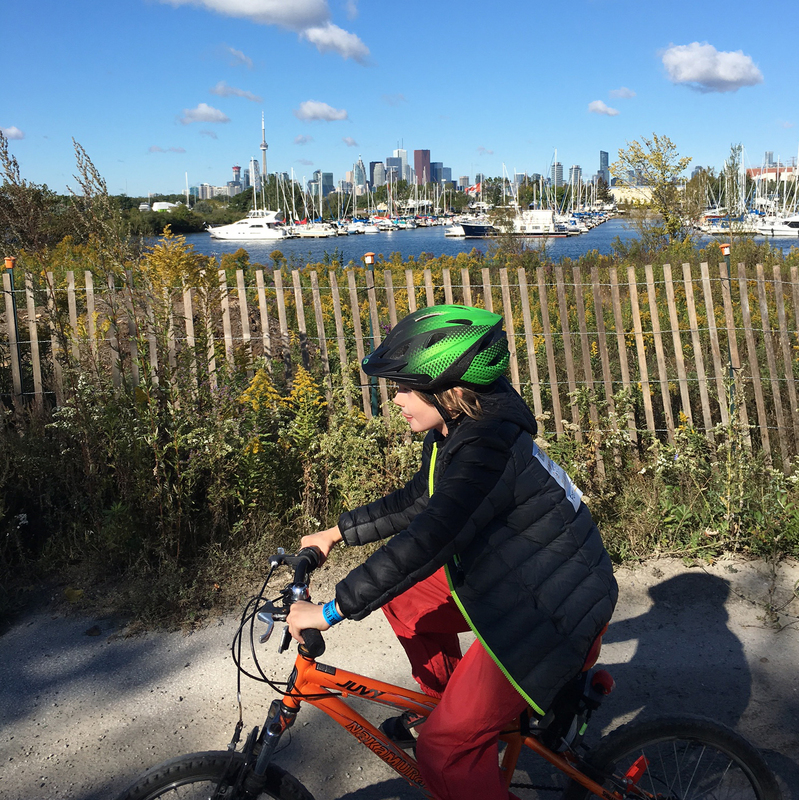 On September 30, 40 PWS&D supporters across Canada cycled, walked and raised money for PWS&D’s maternal, newborn and child health project in the Ride for Refuge. The dedication and enthusiasm of participants and sponsors brought in over $9,500 in support of vital health care for moms and babies across the globe. In response to God’s call to act, Presbyterians are making a difference—thank you for all that you do!